Another Japanese Skin Care Series from HADA LABO. Been quite a long since my last post. So, here I am reviewing another well-known Japanese Skin Care: HADA LABO Perfect x Simple. I chose the HADA LABO Ultimate Whitening Milk for my beauty ritual before sleeping. 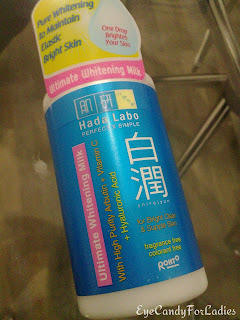 As you can see it's packaging, the tagline of HADA LABO is Perfect x Simple. 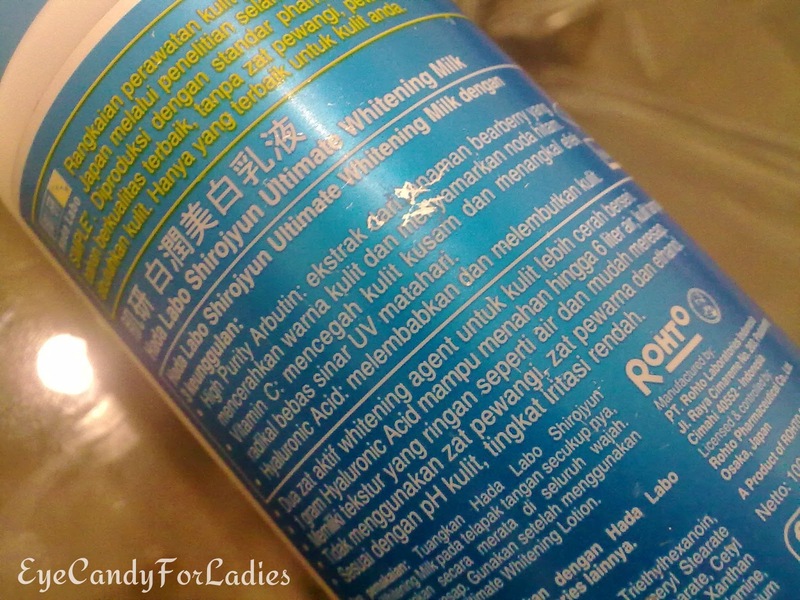 It contains High Purity Arbutin + Vitamin C + Hyaluronic Acid. 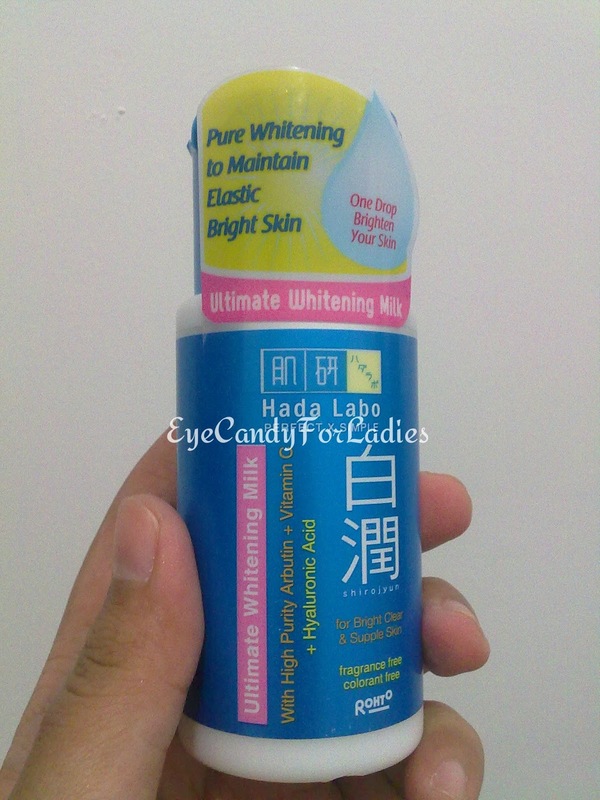 It's also Fragrance Free + Colorant Free. Nice~! 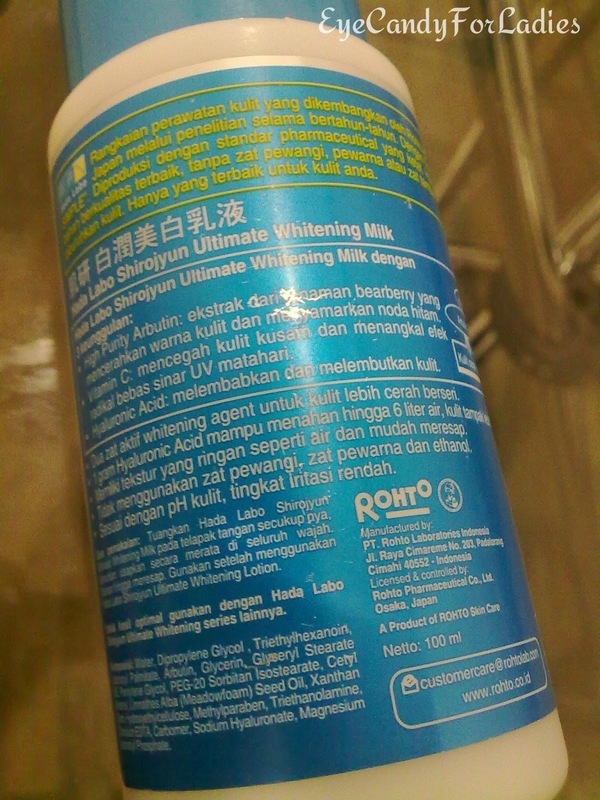 For each series has 3-4 products; for Whitening, it has Whitening Milk, Lotion, Serum and Facial Foam.